HOUSTON -- The Astros and Seattle Mariners enter the season eyeing a return to the postseason. Houston just missed the playoffs last year after ending a 10-year drought in 2015. The Mariners last reached the playoffs in 2001, MLB's longest stretch without a trip to the postseason. These AL West rivals need their aces to step up this season after they underperformed a year ago. They get their first chance to get back on track on Monday when Houston's Dallas Keuchel opposes Seattle Felix Hernandez on opening day. 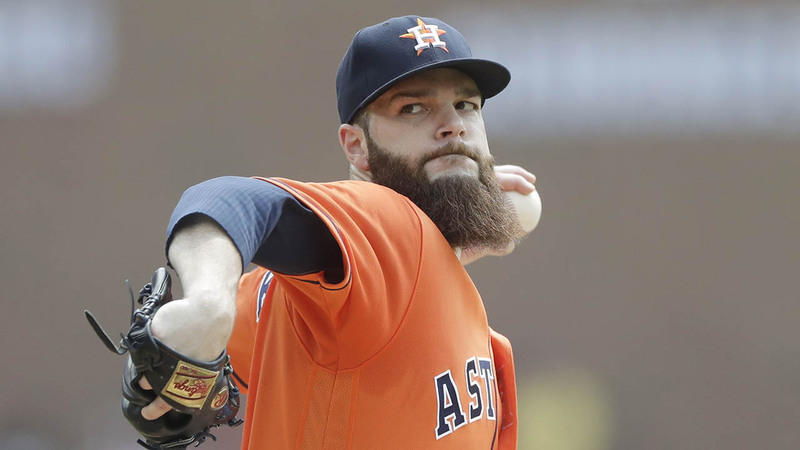 Keuchel went 9-12 with a 4.55 ERA last season, a year after winning the AL Cy Young Award. He didn't pitch after Aug. 27 last year because of shoulder inflammation. "I trust that he's going to be ready," manager A.J. Hinch said. "He's worked really hard and pretty diligently here in Houston over the last six months to get himself to this point." Although no one denies that Keuchel's production will be a key to Houston's success this season, Hinch wants to guard against putting too much of a burden on his star left-hander. "He's a big part of what we're going to be about," Hinch said. "I think our pitching staff will feed off of his leadership at the top, but he doesn't have to carry the whole group. We've got some other guys that can help him." Minute Maid Park will have a new look this year after offseason renovations in center field. The biggest change is the removal of Tal's Hill, which had been in center field since the ballpark opened, and shortening the distance to the wall from 436 feet - the deepest in the majors - to 409. The Astros added several new restaurants and their first field-level seating as part of the renovations. Houston has a potent lineup to go along with its revamped digs after adding veteran slugger Carlos Beltran, Brian McCann and Josh Reddick to a group that already had 2016 AL batting champion Jose Altuve and up-and-coming star Carlos Correa. In fact, they have so many big bats that Hinch had Evan Gattis, who hit 32 homers last season, hitting ninth in the order in a recent spring training game. "Poor me. I've got a few too many hitters," Hinch quipped after that game. "But we'll be fine." On Monday those hitters will get a test when they face a new and improved Hernandez. The 30-year-old, the 2010 AL Cy Young winner, reported to camp in better shape after dealing with injuries and seeing his velocity dip last year when he went 11-8 with a 3.82 ERA. "(I feel) a little different," he said. "I feel ... stronger. I feel much better with my legs and my mechanics." Hernandez is itching to help the Mariners end their playoff drought and make his first postseason appearance. All around Seattle's spring training complex were signs that read: "Whatever it takes." And Hernandez said the team needs to take that mindset into Houston and throughout the season. "Whatever it takes to be in the playoffs and have a great year for us," he said. To make that happen, the Mariners also need others to perform well. They'll look to Robinson Cano to build on last year, when he hit a career-high 9 home runs after two down season. Nelson Cruz hit 43 homers in his second season with the Mariners, a year after hitting 44. Seattle hopes for a boost from newcomers Jean Segura, Jarrod Dyson and Mitch Haniger. After opening with four games at the Astros, Seattle goes to the Los Angeles Angels for three games, then opens at home against the Astros on April 10. Correa likes jumping right into division play. "The Mariners have a great team as well, so it's a good start for us to see where we're at starting the season," he said. "We have a lot of confidence entering the season, so it's going to be great."